The 2020 budget proposal of NOAA consisted of $12.3 million to test and assess creative space-based solutions and associations in the polar and geostationary orbits. 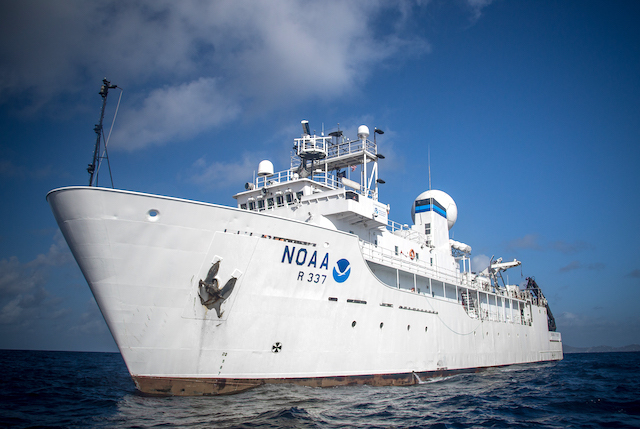 Neil Jacobs, who is the Assistant Commerce Secretary of NOAA mentioned in a statement that it would not be easy to prepare a data collection strategy which is inexpensive and also to bring down the risks of inadequacies in observation. This will become possible because of a fleet of geostationary and polar satellites. The NOAA has not yet released its Blue Book. The plan of 2020 budget was released by the Commerce department on March 25. The progress of NOAA has been commendable for the past few years, especially in the upgradation of geostationary and weather (polar-orbiting) satellites. The organization recently launched two satellites in November 2017 and March 2018. They were weather and geo-stationary satellites. The satellites cover the entire America (south and north) including the oceans around them. The launch of JPSS-2 and JPSS-3has been scheduled in 2023 and 2026 respectively. JPSS-4 will be launched in 2031. It has also planned to launch COSMIC-2 (Climate-2) occultation satellites. It will be in collaboration with Taiwan. Both the Administration of Trump and the committees of Congress have proposed a change in the Polar satellites funding in recent years. In budget of 2019, Trump was in favor of merging the JPSS-4 and JPSS-3 program but Congress was against such a merger in the budget report of 2019 and asked the NOAA for a proposal with the plan of 2020 budget that would point the advantages of a merger in the two programs.